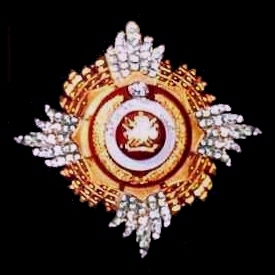 The Most Exalted Royal Family Order of Trengganu - breast star (DKT). The Most Exalted Supreme Royal Family Order of Trengganu (Darjah Utama Kerabat di-Raja Terengganu Yang Amat di-Hormati): founded by Sultan Mahmud al-Muktafi Billah Shah on 10th March 1981. Awarded in one class (Member or Ahli-DKT) and limited to ruling princes. 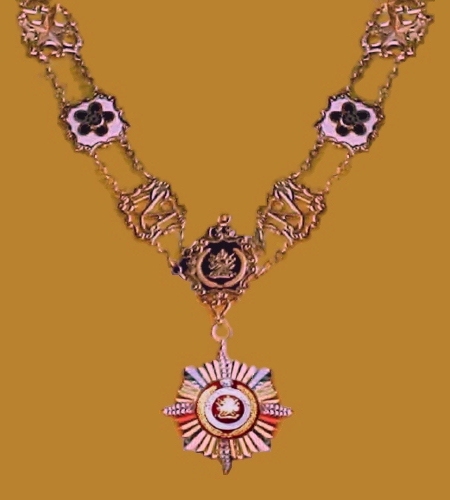 The Most Exalted Royal Family Order of Trengganu - collar and collar badge (DKT). 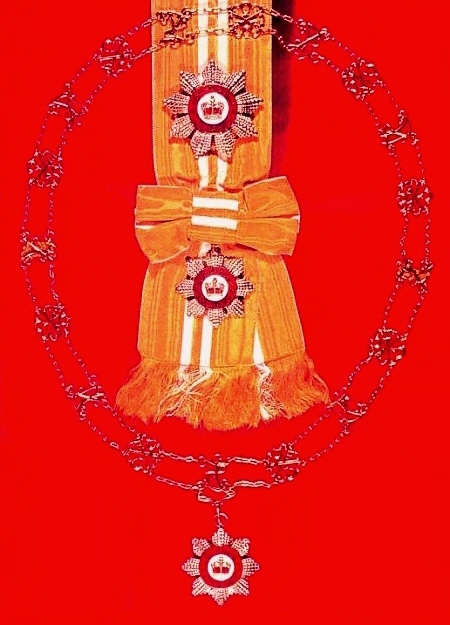 The Most Distinguished Family Order of Trengganu - Collar, sash, sash badge, collar badge and breast star (DK I). The Most Distinguished Family Order of Trengganu (Darjah Kebesaran Kerabat Terengganu Yang Amat Mulia): founded by Sultan Ismail Nasir ud-din Shah on 19th June 1962 as a family order for members of the Trengganu and other Royal houses. Awarded in two classes (1. Member of the first class or Ahli Yang Pertama-DK I limited to sixteen recipients at any one time, and 2. Member of the second class or Ahli Yang Kedua-DK II limted to twenty-four recipients). 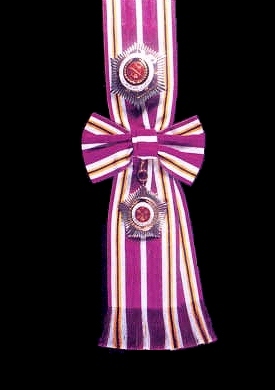 The Most Distingusihed Family Order of Trengganu - breast star, sash, and sash badge (DK II). The Most Select Order of Sultan Mizan Zainal Abidin of Trengganu - Knight Companion (DSMZ), badge and breast star. The Most Select Order of Sultan Mizan Zainal Abidin of Trengganu (Darjah Kebesaran Sultan Mizan Zainal Abidin Terengganu Yang Amat Terpilih): founded by Sultan Sultan Mizan Zainal Abidin on 6th July 2001. Awarded in a supreme class (Sri Utama-SUMZ established 26th May 2005) and four ordinary classes (1. 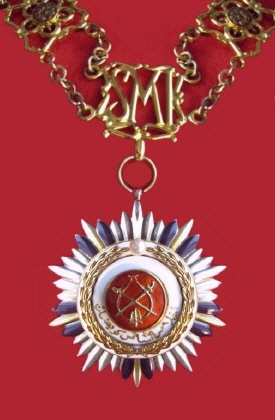 Knight Grand Companion or Dato' Sri Setia-SSMZ, 2. Knight Companion or Dato' Setia-DSMZ, 3. Companion or Setia-SMZ, and 4. 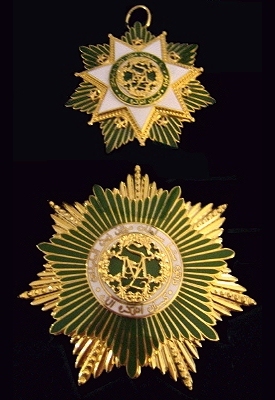 Member or Ahli-AMZ). 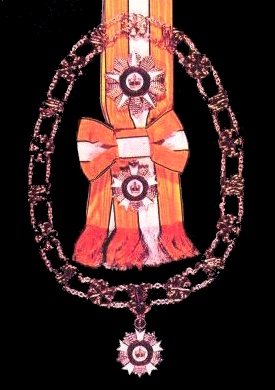 The Most Revered Order of Sultan Mahmud I of Trengganu - Grand Companion (SSMT), collar and badge. The Most Revered Order of Sultan Mahmud I of Trengganu (Darjah Kebesaran Sultan Mahmud I Terengganu Yang Amat Terpuji): founded by Sultan Mahmud al-Muktafi Billah Shah on 28th February 1982. Awarded in three classes (1. Member Grand Companion or Ahli Sri Setia-SSMT limited to sixteen recipients, 2. Member Knight Companion or Ahli Dato' Setia-DSMT limited to thirty-two recipients, and 3. Member Companion or Ahli Setia-ASM limited to sixty recipients). star, sash, and sash badge. The Most Distinguished Order of the Crown of Trengganu (Darjah Kebesaran Mahkota Terengganu Yang Amat Mulia): founded by founded by Sultan Ismail Nasir ud-din Shah on 19th June 1962. Awarded in four classes (1. Knight Grand Commander or Dato' Sri Paduka-SPMT limited to twenty-five recipients, 2. Knight Commander or Dato' Paduka-DPMT limited to fifty recipients, 3. Companion or Setia-SMT limited to one hundred recipients, and 4. Member or Ahli-AMT limited to two hundred recipients). 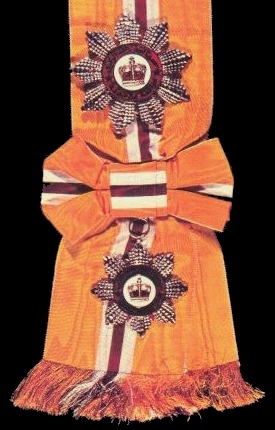 collar, star, sash, sash badge and collar badge.